Driving is something that helps us to travel from one place to another. it is an integral part of life. Very often when we travel outside we meet people who often amaze us with their behavior or wit or sense of humor. In this blog post, I am going to talk about the different kind of drivers I have interacted or traveled with. Trust me some of them are darn annoying and sometimes I would just want to get out of the car. While some of them are kind enough to understand our problem. Without much ado, here we go. They are the talkative ones. Their mouth won't stop talking while they are driving. They love to interact with their co-travelers or their passengers irrespective of whether they are interested in the conversation or not. I met an old Sardar while I was in Delhi 4 years ago. I had to travel to CP so I hailed a Taxi from Noida Sec 55 and then I realized that I had to meet this old man. He was unstoppable like a Radio Jockey. He spoke from Politics to Bollywood and took the conversation to Agriculture and Punjab, his hometown. I was like someone stop this guy. My instant response to all his statements would be - Achha, Oh, Okay, Thik hai, Achha Aise hua. Of course, I didn't want to hurt him. But I also didn't want to sound rude to him. That's not my nature! But there are many who often get annoyed because of such drivers. They might be flawless, but they are just nonstoppable. Talks related to Destination and travel are fine but senseless and baseless discussions really don't make sense and that too with a stranger whom you are meeting for the first time! The second breed of drivers I'm talking about are the interesting ones. While traveling with them, it is necessary to wear a seat belt. Of course would you like to risk your own life? They will zig-zag through any traffic and reach your destination within minimal time. They will travel at 60 km/hr and above and they won't even care about your safety. They are super fast. Only the Formula 1 drivers drive that fast! Sometimes I would appreciate them but sometimes its just too much. What if you lose control and crash up and end up killing a poor street kid or a pedestrian trying to cross the road. I can't stand such drivers. 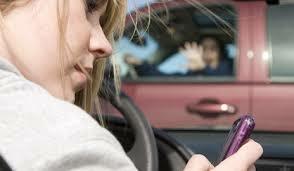 They will abuse the pedestrians mouthing bad words based on the person's mother and sisters even if it's their mistake. They are annoying. Though they might be adept at their driving skills but too much anger is not good. Probably they should enroll for Anger management classes. Once I traveled with one such guy. A girl came in front of the car. She was talking on the phone and this guy had to brake to a sudden halt. Translation - Hey girl, Is your life precious our phone! I agree that the girl was at fault, but one should learn to respect the other gender too! Translation - Hey, Already informed your home or what? The Obedient drivers would politely listen to you and will wait for your directions on which route to go and all! They are very much like the kind ones! Some drivers love their car so much that they would not want any kinds of a dent on their vehicle. They would drive slowly at their own comfort. They won't care about their passengers. If your journey was to be completed in 15 minutes then with the Slug drivers it would take 45 minutes. They are much like the singers just that the Musicians play loud music especially the old Bollywood songs of 90's era. It's fine to play songs, but too loud songs might contribute to noise pollution. Even Justice Arnab Goswami would feel jealous of him. They would drive on a single lane - no matter what. They do not drive left nor right. The right lane is for driving according to them! They will just not move their vehicle sideways! Bloody Annoying guys! The Funny ones! They crack hilarious jokes while driving and would prove as a good source of entertainments for the passenger. They would tickle your funny bones! These drivers would claim they have a short cut for a road and, unfortunately, their shortcut itself turns out to be longer than the normal path. They would try their best to divert the minds of the passengers especially the ones who have never traveled to that place before. You would see such guys standing outside bus and railway stations. I once encountered such guy outside Delhi Railway station and he asked me 650 bucks for a distance of 10 km thinking of me to be a newcomer. His face almost turned small when I said that I was a local and it usually doesn't take more than 150. They would always have this serious and a conscious look on their face. At times, it would feel like you have to soothe and provide solace to them. You might even try your luck to boost their confidence. They might be a good driver, but somewhere their conscious look on their face will pose several questions on your mind. These are the kinds who won't stop showing their affection while driving. They are usually couples - married, bf - gf or lovers and so on. They would simply want to show the world that their love is unbeatable even when it comes outside home! Yo - Couples! They love overtaking other cars and they love doing that. Of course, they would consider themselves as a skilled driver. Driving would them would be fun at times! Again at your own risk :P And yes sometimes you might break into a very dangerous casualty! Sigh! 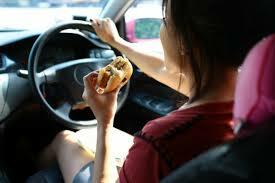 They are the ones who always eat while they are driving. Their taste buds are hyperactive and hence they always demand food forever. They are the ones who usually scan around at road junctions to look for the traffic police. If they can 't find any of them then they would easily race ahead irrespective if the traffic light shows red! They love playing with danger and if found guilty of breaking traffic rules then they might invite huge penalties. Play safe with the big boys, mate! These are the ones who update their Facebook Status, Retweet a tweet or text a dear friend or talk to a best friend on the phone while driving. Sometimes, a loss in focus could lead to dreadful situations even impacting life. Be it any kind of drivers but they are essential entities in today's life. If you don't have your own vehicle then it becomes obligatory to avail service of cab drivers especially if Public transport hurts you. At a time when people like me who often gets confused between application of brakes and clutch, drivers play an important role. PS - All the Images have been taken from Google Images. Such an interesting post. I'm a #2 Schumacher. My friends, repeatedly, talk about my speed though I don't think I'm that fast. I just don't like to waste time. We always get there. I yes... that's good but sometimes you should control your speed okay? Thank you Son! I am glad you think so! You have it all covered!! I would be the garrulous and singer rolled into one! I can't keep my mouth shut for one minute!! Hahahaaa- that was so much fun to read! And funny pics ! So enjoyed it! I am a mix of several i guess, but singing while driving Oh Yeah - me for sure! Lol :D I was laughing through out the post and nodding my head! You have covered every types :D I have met most kind of drivers and yes, you have got it spot on. What a fun post! Here in Ecuador it seems as though all the drivers are maniacs. Drive fast, slam on the brakes. Light changes, honk your horn. Pass on blind curves in the fog. Eeek! We don't plan to ever drive here, we use taxis and buses (and some of them driver crazy, too). Haha, nice categorization. I belong to quite a lot of them, depends on my mood mostly!